All staff photos published in the Record-Eagle print edition during the week of Jan. 17-23, 2010. Note: Some photos may not be available until late afternoon on the day published. Photos published on Saturday and Sunday may not be available until Monday. 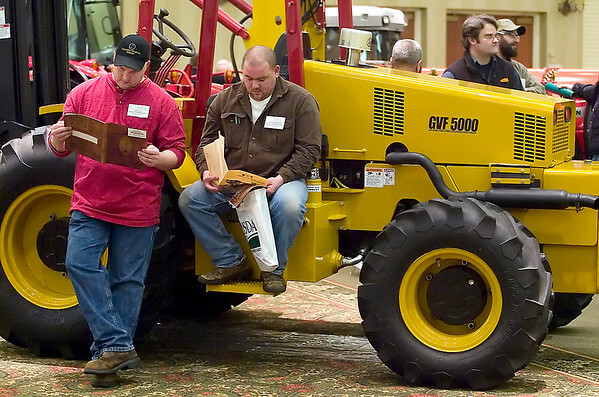 Jay Budd, left, and Jeremiah Warren of Mutual Farm Management read through brochures at the 2010 Orchard & Vineyard Show Tuesday at the Grand Traverse Resort & Spa in Acme.